The quality of these balls are considerably better then you average 'toy shop' ball - strong, yet subtle stitching as well as perfect 'squeezed' feeling mean these will be appreciated by children, learner jugglers and the more experienced ball manipulators. They're also a proven favourite for workshops with a large amount of people. The panels have a slight gloss finish and the'be been filled with sterilised seed. 120g makes a good size for small hands as well as numbers juggling. 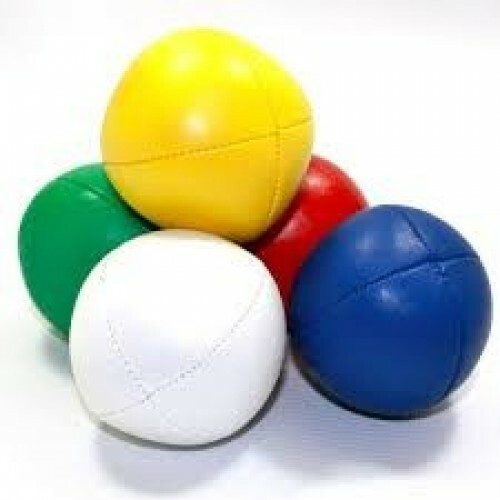 This is by far our most popular juggling ball. 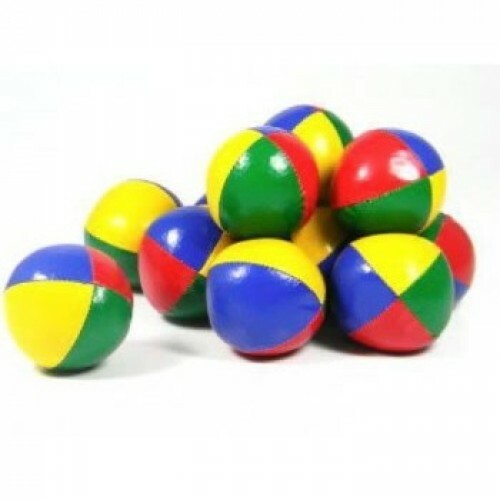 These balls are called 'thuds' because the hit the ground and don't roll away! Theses are the standard size version of the classic 4 panel beanbag manufactured by Juggle Dream.The..
UV reactive juggling version of the popular Smoothie bean bags. Exceptionally strong stitching.. This is a premium bean bag designed by Juggle Dream. The 'Shiney Superior' thud features beaut.. These pyramid shaped, pellet filled beanbags are very good for beginners and used extensively .. The DX Chroma juggling balls are a densely packed, seed filled balls with a shiny but grippy s..